Incorporates a 36x optical with a 12xdigital for a 432x total zoom capability. Additionally, the Ca-Zoom PTZ 140 camera is equipped with two high-power 35 watt lights offered with wide and narrow beam spreads. Incorporates a 10x optical with a 4xdigital for a 40x total zoom capability. Additionally, the Ca-Zoom PTZ 100 camera is equipped with four 5-watt LED lights offered with wide and narrow beam spreads. Incorporates a 10x optical with a 4xdigital for a 40x total zoom capability. Additionally, the Ca-Zoom PTZ 70 camera is equipped with eight 5-watt LED lights offered with wide and narrow beam spreads. Portable, case-mounted, or rack-mounted camera controller allows still image or full-motion video capture. The controller runs a real-time, multitasking software operating system which supports file storage on internal memory and CompactFlash removable storage media. Includes connectors for camera, two handheld controllers, video input/output and keyboard for text generation. Comparison measurement, PC remote control and re-measurement software are also available. Streamlined, rack-mountable camera controller designed to allow video 'pass through' for external video management. 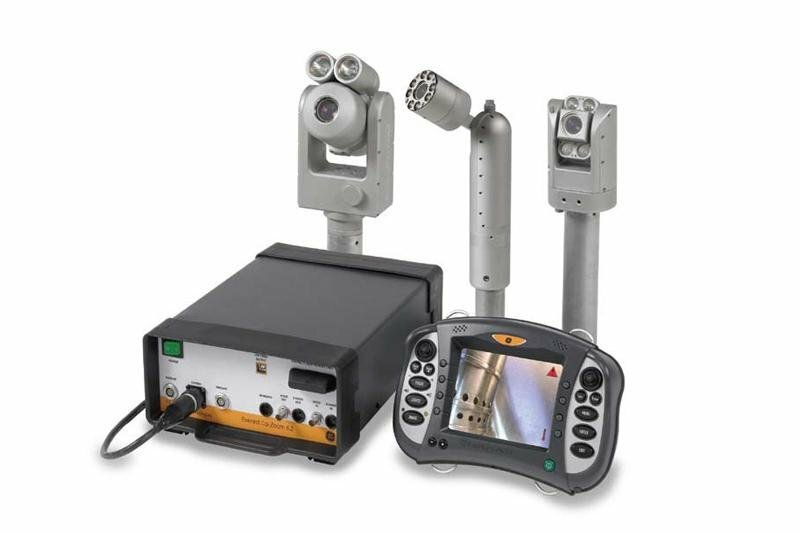 Customized configurations are available to meet your unique inspection needs. Contact us for more information.